Once every year, in the city of Sunja, gladiators meet within the arena known as Sunja’s Pit. Some men enter for the lure of fortune, some for the fame, and some simply for the fight. The games continue for days until a champion is finally crowned. Or until all involved perish. Feeling the weight of sustained injuries, Halm decides upon his future with the Ten, which prompts a crippled Pig Knot to contemplate his own remaining days. An act of vengeance drives Borchus into hiding. Within the underbelly of the Pit, arrangements are made to introduce Sunja’s most despised and dangerous criminals into the games, including a captured group of Nordish Jackals. All the while, the House of Ten prepares for its day of vengeful blood matches, where the gladiator known only as Junger will shine as a legend. This is blood sport at its finest. 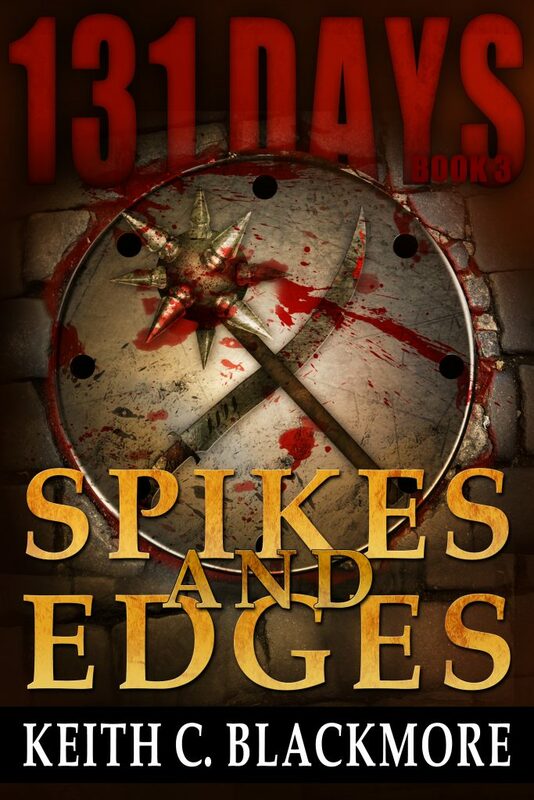 131 Days: Spikes and Edges (book 3). Approximately 240 pages, or 84K words. Contains violence and some language.